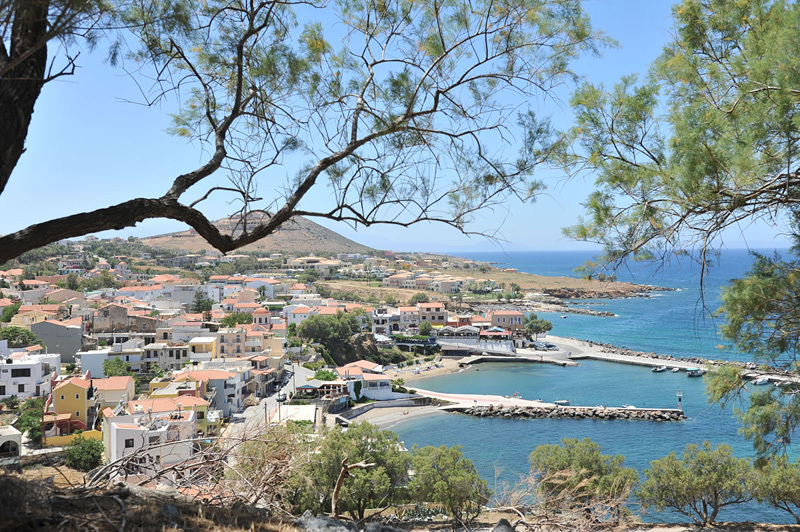 Panormo is a lovely village located in the north coast of Crete, 22 kilometers east from Rethymno with population of about 370 residents. 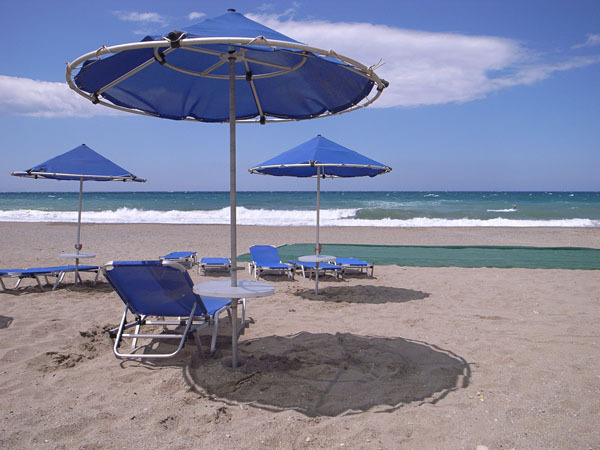 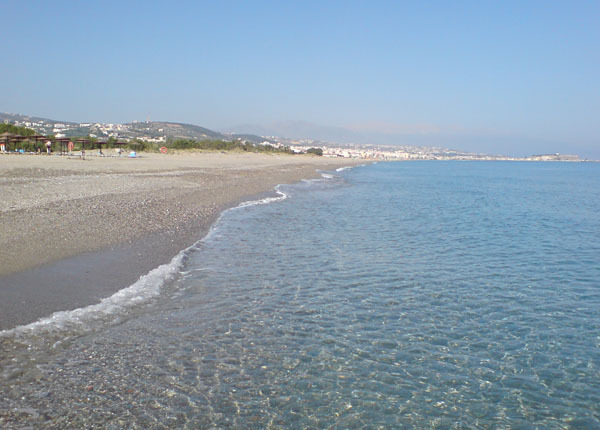 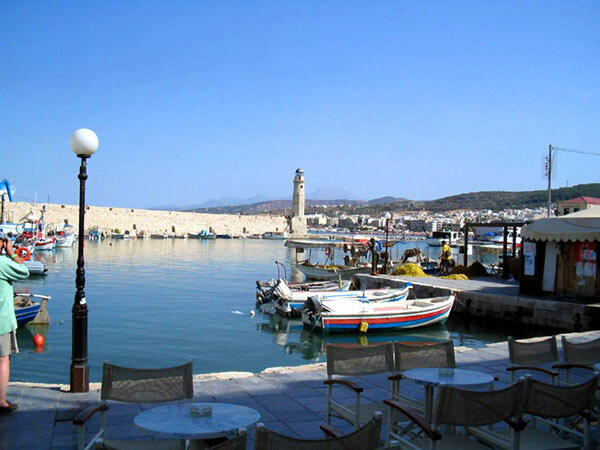 The village is famous for its beautiful sandy beach and the fish tavernas beside the sea. 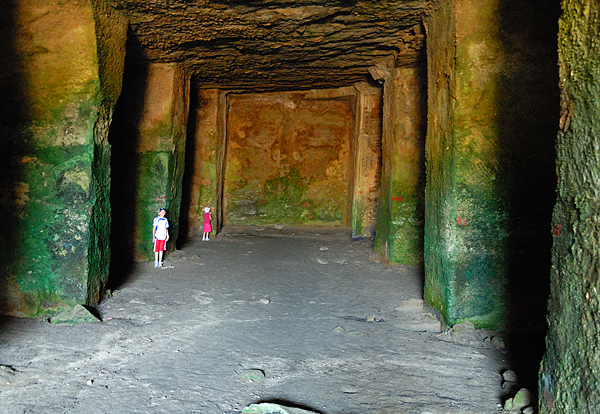 In the area, there are many interesting sights that everyone should have a chance to visit. 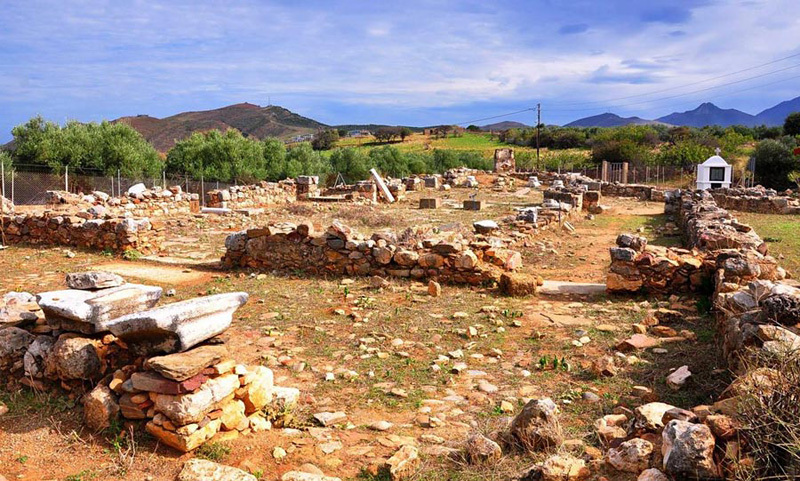 One of them is the ruins of the church of St. Sophia, built in the 5th century AD, the early Christian times and excavated in the year of 1948. 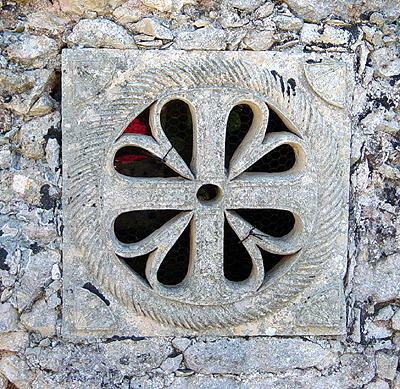 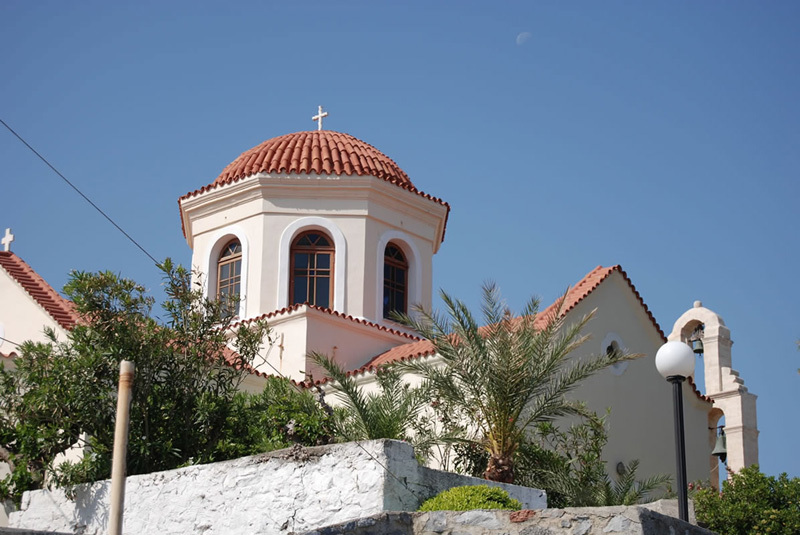 It was one of the biggest Christian Royal churches of Greece. 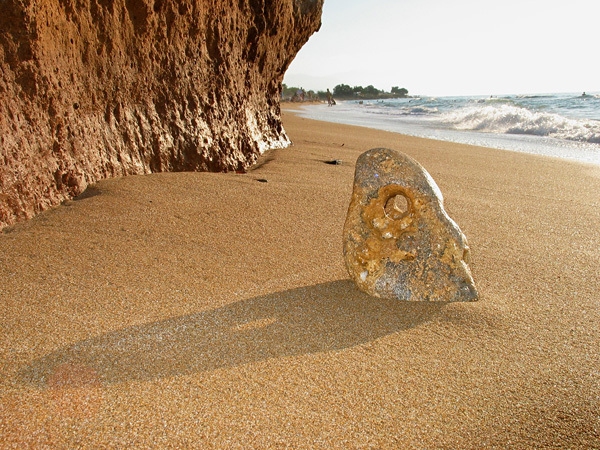 In the cave of Hondrokavos, which is located 800 meters away from the village, there is an exquisite lighthouse, where you can enjoy a superb view of the sea and the land. 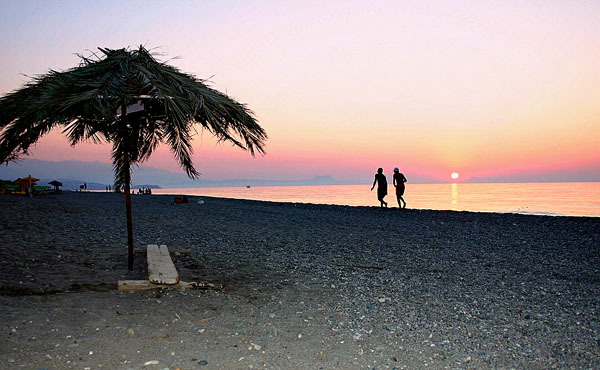 The sunset from that spot is a magical experience that no one can describe with words. 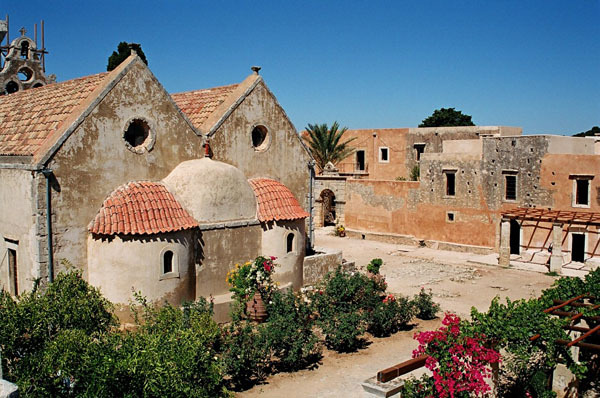 An abandoned, old Carob Mill Factory -industrial monument- has converted to the modern cultural venue “Charoupomylos” by a local cultural society, where many unique cultural events take place. 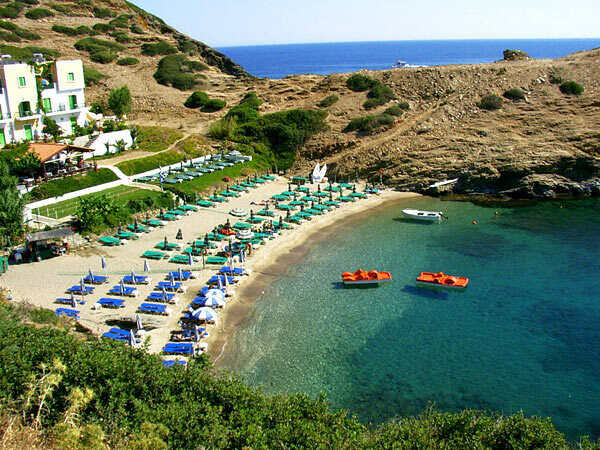 Panormo has also a port for small boats, open to the east and protected from northern winds. 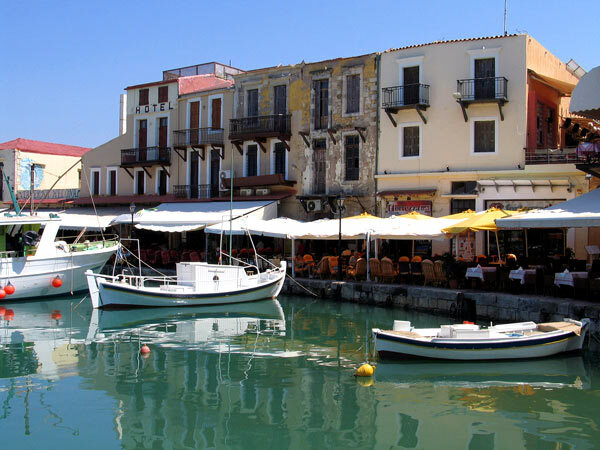 There are also boat fuelling facilities. 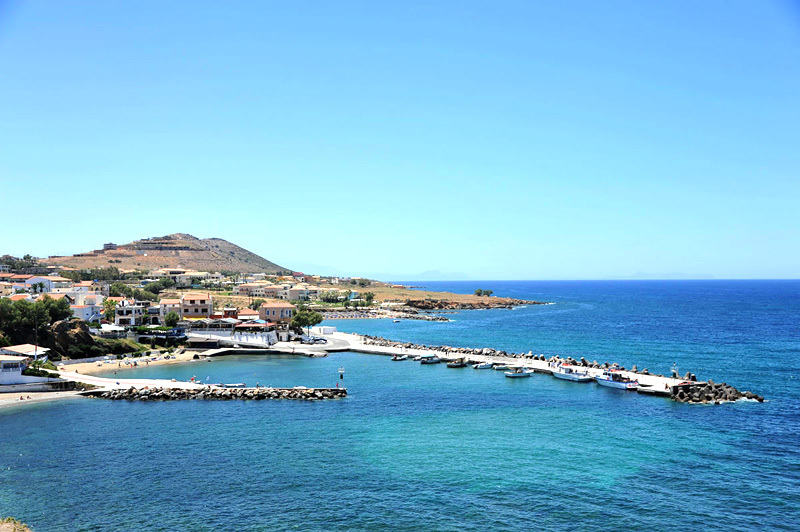 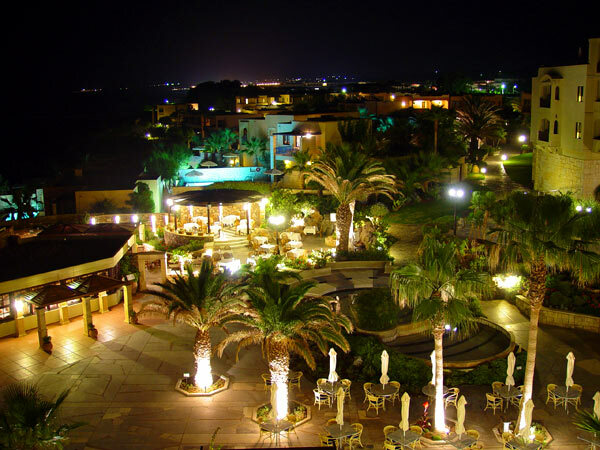 Panormo is located near the national highway of North Crete, and it could become an excellent choice for families or couples who want to explore the beauty of the Crete. 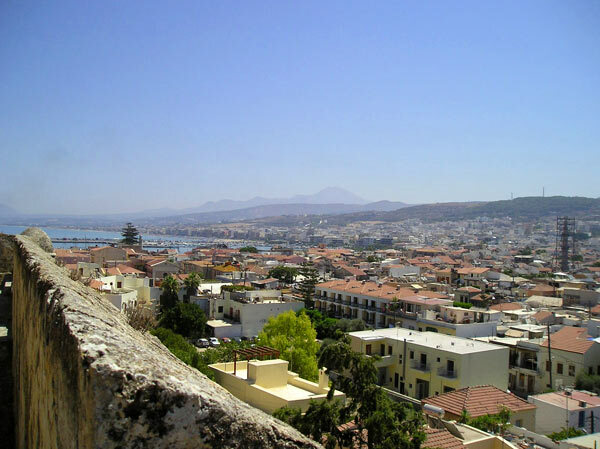 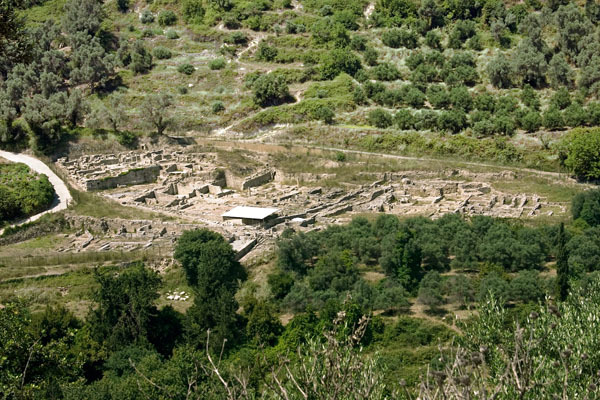 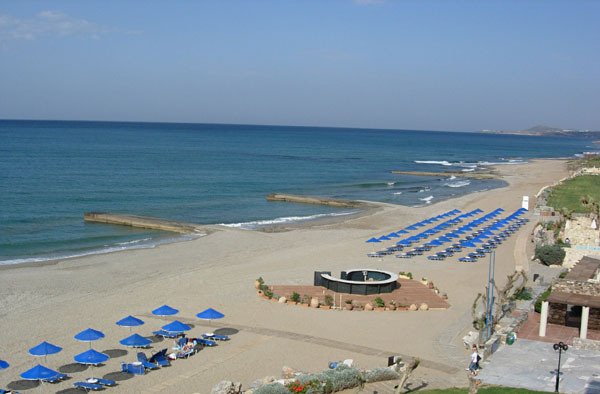 The area is quite developed and provides many facilities to the visitors such as organized beaches, super markets, cafes, lovely fish taverns and traditional restaurants, a backery, a bucher's, all kind of shops to buy clothing, shoes and souvenirs, a jellewery, shops with traditional cretan products and cosmetics etc. 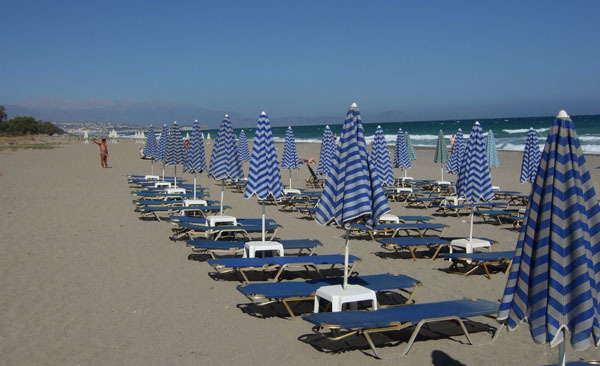 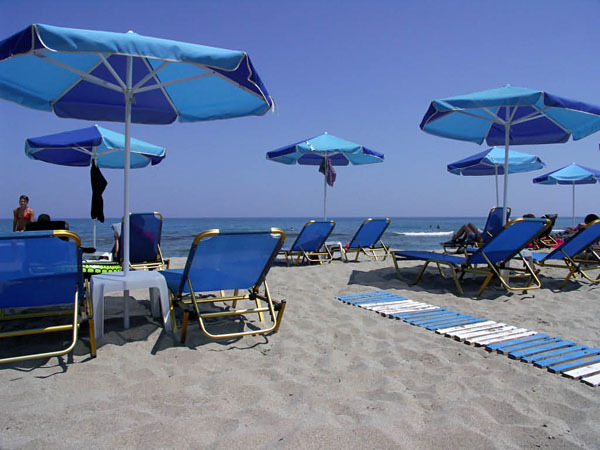 There is also a physician, a pharmacy and a post office.Two car rental agencies, taxi services, a travel agency and many accommodation options (hotels, rooms to rent, apartments) operate during summer season – from mid-April to end of October. 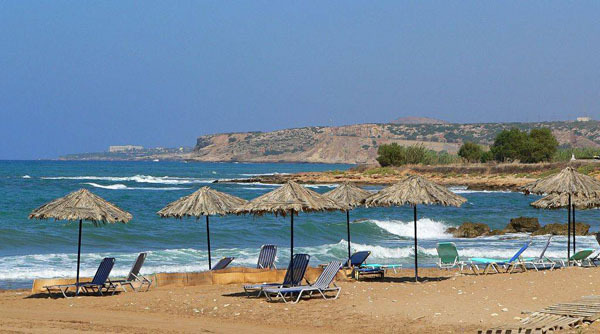 Except the amazing sandy beach "Limni" in Panormo, there are some of the most beautiful beaches of North Crete just only of a few kilometers away from the village: the sandy beach of "Bali" (12 Km), the sandy beach of Geropotamos (5 Km), the sandy beach of Stavromenos (10 Km), the sandy beach of Sfakaki (12 Km), the sandy beach of Rethimnon (20 Km), as well as amazing beaches in the south coast of the prefecture: the palm beach of Preveli (56 Km), the beautiful beaches of Plakias (56 Km) (Amoudi, Amoudaki, Damnoni, Skoinaria, Plakias, Souda) etc. 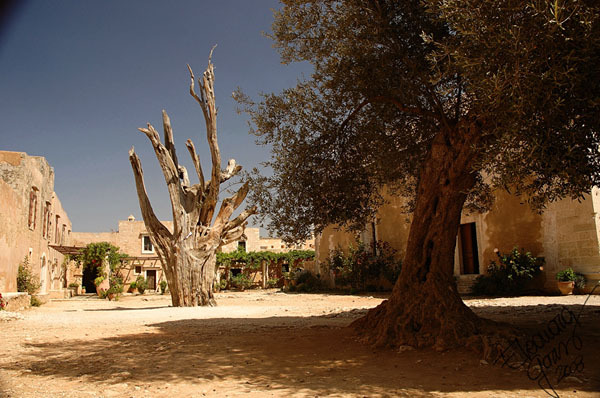 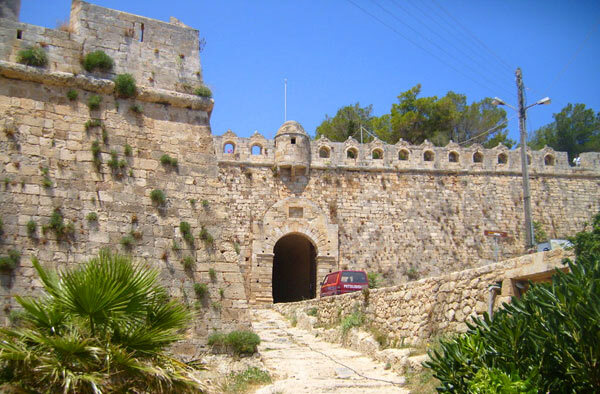 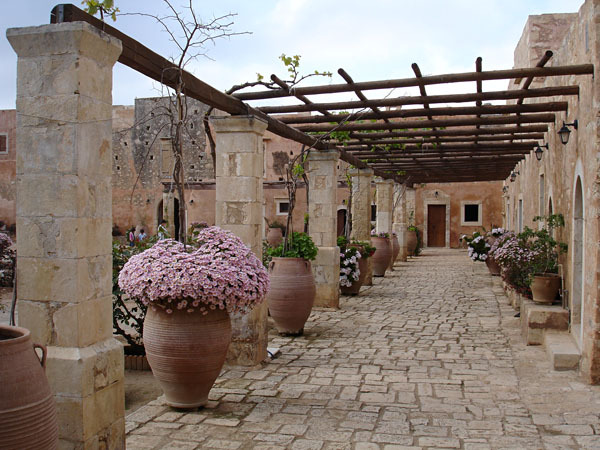 There are also many interesting sites arround that the visitors should visit such as: the Arkadi Monastery (22 Km), the Ancient Eleftherna (12 Km), the Venetian Harbour in Rethimnon (20 Km), the Preveli Monastery (56 Km), the Kourtaliotiko Gorge (45 Km) etc. 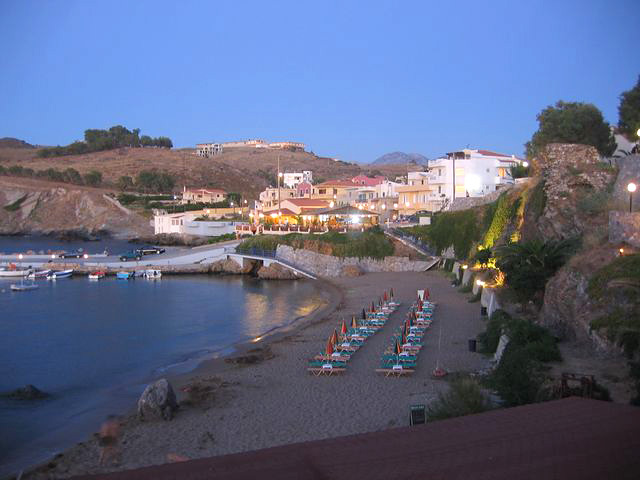 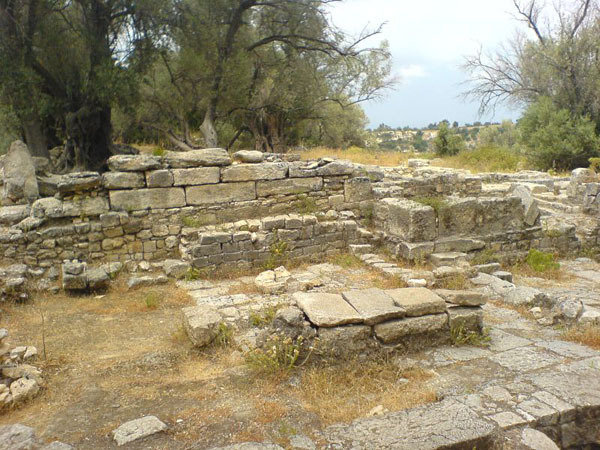 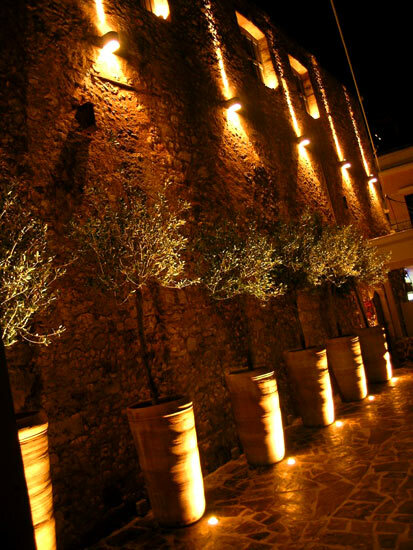 The traditional tavernas "Kastro", "Fanari", "Porto Parasiris", "Agkyra" in the village. 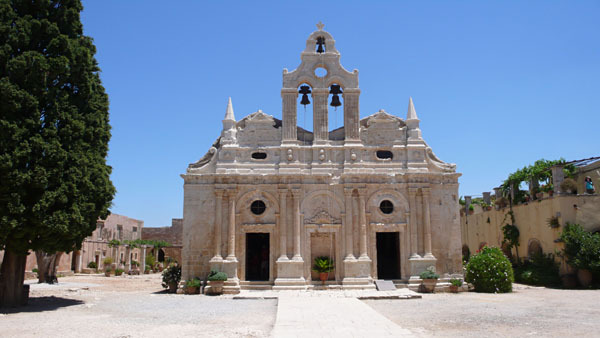 The byzantine basilica of Agia Sofia (200m), the Attali monastery in Bali (7,6 Km), the Ancient Eleftherna (9,7 Km), the Melidoni cave (5,2 km), the Arkadi Monastery (22Km), the old town and the venetian harbour of Rethimnon (22Km), the Preveli Monastery with its famous palm beach (56Km).